Shame is something most Christians suffer with- whether shame from sin, body image, relationships, or a multitude of other things. Most of us know that Jesus’ sacrifice covers ALL our sin, no matter what it is. Yet, we have trouble letting go of the shame that sneaks in regardless of that knowledge. Personally, I find that shame is a constant companion if I’m not careful- shame at mistakes I’ve made in mothering, shame over a failed marriage, shame for needing help from others to provide for my children, shame over missing the mark in multiple areas of my life. 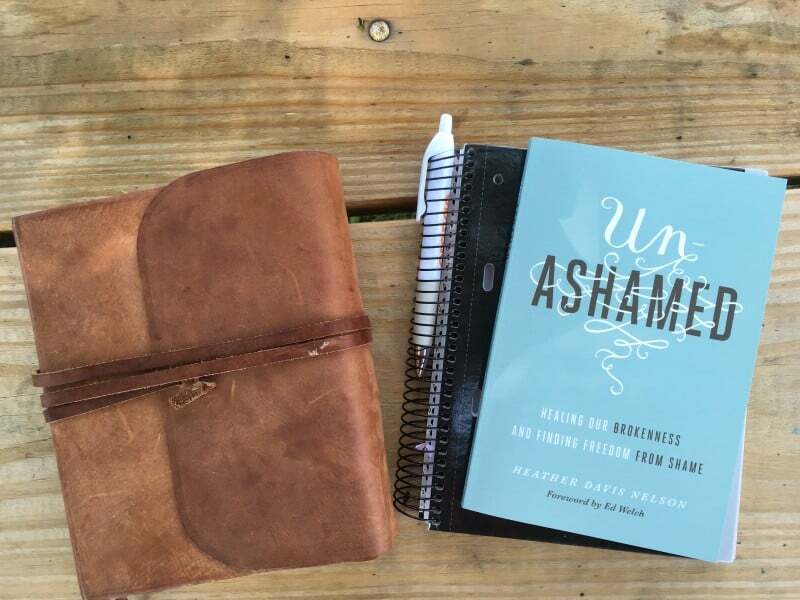 Unashamed brings all that shame to light, with the gentle reminder that we are not called to shame. As I tell my children, “ask forgiveness, then move on… don’t worry about it anymore.” But I find, that is much easier said than done! I’ve written many times lately on the blog and Instagram about how beauty is springing from the ashes of a difficult few years for me. This book talks about exchanging shame for beauty- which is also something I’m working on and seeing the fruit of thanks to insight gained from this book. Forgiveness from God is free. We also can and should forgive ourselves and let that shame go. This book has so many practical insights on just how to do just that. Would love to read, thanks for the chance!